Objectives International organizations have encouraged countries to organize occupational health services (OHS) for all working people. This study surveyed how that objective has been achieved in a sample of International Commission on Occupational Health (ICOH) member countries from all continents. Method A structured questionnaire was sent to ICOH national secretaries in 61 countries. The survey focused on (i) policies and strategies; (ii) systems, institutions, and infrastructures; (iii) contents and activities; (iv) human and other resources; (v) financing; and (v) future priorities in the development of national OHS systems.  Results Of 47 respondents, 70% had drawn up a policy and strategy for OHS and 79% had a national institute of occupational health or safety. The calculated coverage of workers was 19% among the respondent countries. Sixty percent of respondent countries used multiple channels for service provision and 70% provided mixed contents of OHS with preventive and curative services. Almost all (94%) reported availability of multidisciplinary experts, but not in sufficient numbers. OHS is financed through combined employer plus insurance financing in 62% of respondents and through employer financing only in 38%. The countries identified well the needs for future development of OHS. Conclusions In spite of documented policies for OHS, only slightly over one third of the surveyed countries had organized OHS for more than 50% of workers. The vast majority of workers of the world are underserved due to four gaps in OHS: implementation, coverage, content, and capacity.